And now I’ve added them to one of my absolute favorite things – cheesecake! The no-bake filling is a simple combination of cream cheese, sugar, vanilla, and whipped cream. Perfectly delicious all on its own. But! Then a whole bunch of those buttery, toasty pecans get stirred into the filling to give it a fantastic nutty twist. I paired that luscious filling with a basic shortbread crust. If you like, try a cookie crust instead. The classic graham cracker crust is always a good choice. Or try a cookie crust made from Pecan Sandies, vanilla wafers, or another of your favorite store-bought cookies. 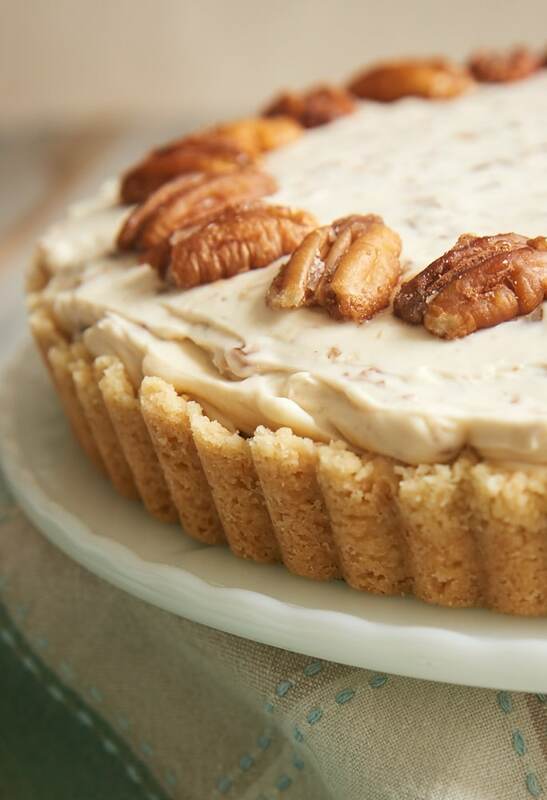 Buttery toasted pecans add big flavor to this Butter Pecan Cheesecake! Combine the flour, sugar, and salt. Add the butter, and mix with a pastry blender, a fork, or your fingers until thoroughly combined. The mixture will be crumbly but should hold together when pinched. Bake 20 to 25 minutes, or until the crust is lightly browned. Do not overbake, or the crust will become too hard. Set aside to cool. If desired, set aside some of the pecans for garnish. (I used about 20 pecan halves for the garnish you see in the above photos.) Once cooled, roughly chop the remaining pecans. Using an electric mixer on medium speed, beat the cream cheese, sugar, brown sugar, and vanilla until thoroughly combined and smooth. Spread the filling evenly in the cooled crust. Garnish as desired. Refrigerate at least 4 hours before serving. *This cheesecake can also be made in a 9-inch pie pan or a 9-inch springform pan. A note about the crust: Shortbread crusts can be temperamental. Be sure your butter is cold and that you’ve measured the ingredients accurately. Avoid dark pans. Don’t overbake. If at all possible, make sure your oven temperature is correct with an inexpensive oven thermometer. Love butter pecan? Be sure to try these great recipes, too! Try Butter Pecan Ice Cream with a little Praline Liqueur poured over it. It should keep 4 or 5 days in the refrigerator. I love your blog and all your recipes are successful! just reading the recipe and viewing the pictures…my mouth is watering!!! gonna make this…I am like you…butter pecan ice cream has always been my favorite . This looks amazing! Even better that it’s no bake…I can’t wait to try it! This is great. Try substituting butter flavoring instead of vanilla. Gives it that buttery taste. I love every one of your recipes. This looks delicious. Thanks! Great ingredients. I’ll be making this recipe. I made this and everyone LOVES it!! The only thing is that the crust came out rock solid to the point where it was extremely difficult to cut it into slices. I followed all directions and the baking time exactly. Any ideas as to what happened?? Overall DELICIOUS recipe and I would definitely love to make it again! Hi, Brooke. It sounds like the crust got over-baked. If you used a dark pan, that could be the problem. Or it’s not uncommon for oven temperatures to be inaccurate. I have an inexpensive oven thermometer I use to routinely check my oven’s temperature. 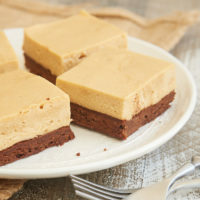 How could I change this from a no bake recipe to a baked cheesecake? My husband prefers baked lol. Hi, Elizabeth. The batter for a baked cheesecake is fairly different. I don’t currently have a recipe for a baked version of this cheesecake, but there are several baked cheesecake recipes in the Recipe Index. Easy…when adding the regular sugar to your cheesecake batter add light brown sugar instead. You can also add half vanilla extract and half butter extract or my favorite…butter rum extract….this is how I’m making ours for Thanksgiving. Same thing for me! I think I’ll try a different crust next time. This cheesecake looks and sounds amazing! I don’t really know why, but I have always been a little intimidated by making cheesecake, even though I’ve been baking for over forty years. This one is the one I’m going to start with. Butter pecan is my second favorite ice cream flavor, (after vanilla). Cheesecake is one of my favorite desserts, so, it is too tempting to pass up. 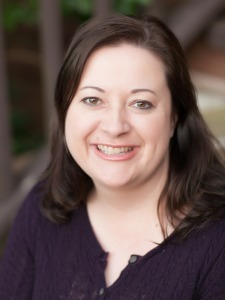 Hi, Lori! This one is really easy to make. 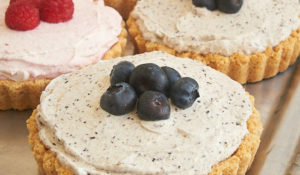 No-bake cheesecake fillings are simple and taste SO good! I hope you enjoy it! Hi, Donna. You can use 2 cups of Cool Whip. I prefer making my own whipped cream for its flavor and texture, but you can certainl just go with your preference. 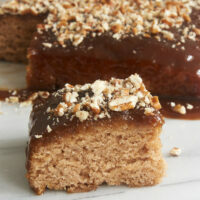 To make with pecan sandier cookies- how to make crust? This looks absolutely amazing. I can not wait to make it. Your blog is awesome. Thank you, Amanda! I hope you enjoy the cheesecake! Lovely! Do I need to weighed down wi h baking stone when I bake the shortcrust base? Also is it necessary to prick the base? Hi, Doreen. You don’t need to add weight to the crust or prick it with a fork. It will work fine with just pressing it into the pan. Could I use cool whip instead of whipping cream? Hi, Susan. You can use 2 cups of Cool Whip if you prefer. Just fold it into the cream cheese mixture. 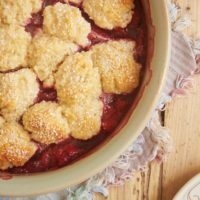 How can I substitute the flour and sugar for wheat flour and Splenda without changing the taste? Or just use original. I am diabetic just asking. Hi, Tonja. I’ve never tried this cheesecake making either of those substitutions, so I can’t give you any specific advice. In my general experience, most any change to a recipe will change the taste. If you’d like to make the substitutions, I recommend following the guidelines of the manufacturers. Can you use some kind of prepared crust? Sure, Sarah. I’d suggest a graham cracker crust. My daughter just ask me to make this dessert for thanksgiving, butter pecan is my favorite ice cream. I love trying new Recipes. This will be one of my dessert for Thanksgiving . Thank for sharing. My daughter wants me to make this for her birthday cake. I will she’s my only girl and gets whatever she wants. My boyfriend loves butter pecan ice cream– except for the actual pecans in it! 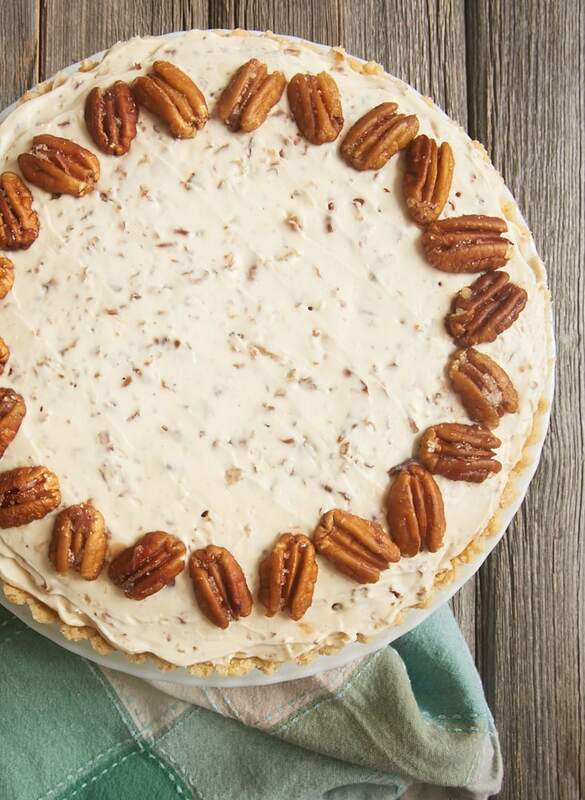 :O He says if he could find an ice cream with the same flavor but without the nuts, he’d buy it, lol… So I’m wondering: would this cheesecake have the flavor he enjoys if I made it without the pecans, or would it be missing something essential to that buttery flavor, you think? 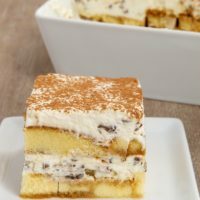 Any suggestions on how I could replicate this flavor without adding the pecans? (I’m not a huge pecan fan either, so I’m at a loss on this one…) Thanks- and the recipe does sound and look delicious! Hi, Hope. 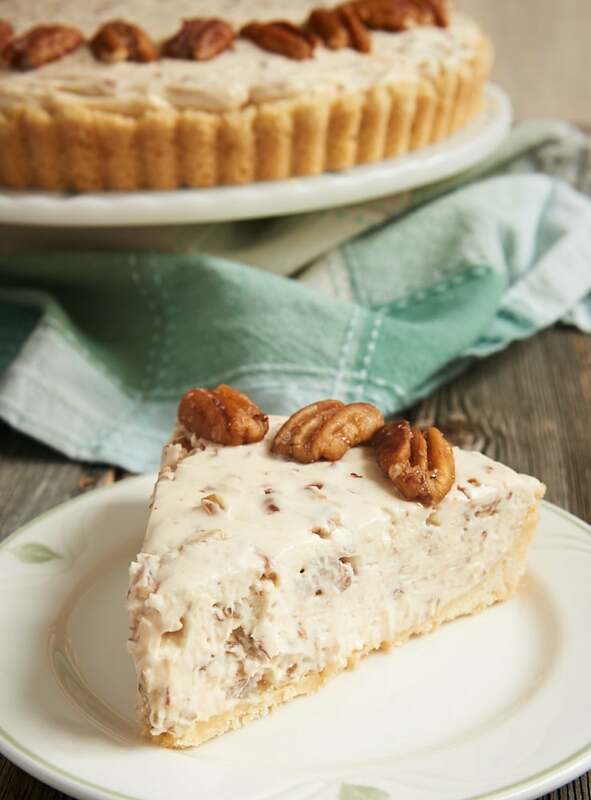 The flavor of the cheesecake comes from the buttery pecans. The rest of the cheesecake is a fairly basic vanilla cheesecake. It’s plenty good on its own but it won’t have the flavor of butter pecan. You can buy walnut favoring(next to vanilla extract in grocery store), but I have never seen Pecan. I have used this in Walnut Pound Cake. ( My Mother can’t eat nuts) It taste great! You might could try that. This looks and sounds amazing….I think I’m going to try this for Thanksgiving. Thanks for the recipe. Do you think I could use half n half in this recipe instead of the heavy cream? Hi, Juli. Half and half doesn’t whip as well as cream, but the flavor shouldn’t change that much. I don’t have a tart pan, what other kind of dish could I use? Hi, Regina. You can use a 9-inch pie pan. The filling consistency was more like a whipped icing. The texture wasn’t as thick as typical cheesecake filling. Is is suppose to be this way, or did I do something wrong to where mine didn’t set properly? Hi, Truly. A no-bake cheesecake filling is generally less dense than a baked cheesecake. The no-bake variety is lighter and fluffier. It should still set well, though. If you use any low-fat or no-fat ingredients, that will affect the outcome. Mine wasn’t the same way, and I didn’t use anything low fat or no fat. I love the sound of this but wondering if the amount of sugar in the cheese cake can be cut in half? Hi, Sandra. I probably wouldn’t cut it by half because it will affect the texture as well as the taste. You could probably get away with 1/4 cup less without too much of a difference. This sounds wonderful! I can’t wait to try it! I am wondering though if it may be a candidate for make ahead and freeze? I want to bring it to thanksgiving and we travel several hours to the next state over. Hi, Tamera. I don’t often freeze desserts, but I believe you should be able to freeze this cheesecake easily. Just wrap it well and give it a day in the refrigerator to thaw. It should keep in the freezer for up to 3 or 4 weeks. Hi just made this beautiful cheesecake, wondering if I should cover it while chilling it won’t be eating till tomorrow …if I can wait !! You can cover it if you like. I don’t always cover it overnight unless there’s something with a strong smell in the refrigerator. 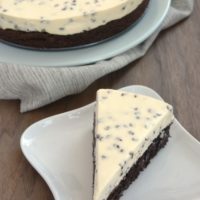 I can’t wait to try this recipe as I love cheesecakes. My cheesecakes that are baked always shrink in size while it is cooling? If it’s falling in the center, that usually means the outside is baking too fast. If you’re using a dark pan, that can be the culprit. You might also use an oven thermometer to check the accuracy of your oven’s temperature. 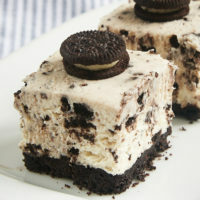 I was wondering if it was possible to bake this to have that dense cheesecake instead of the fluffy cheesecake? And would it taste the same? Hi, Denise. Baked and no-bake cheesecake batters are fairly different. I wouldn’t recommend baking this cheesecake. I don’t currently have a similar baked recipe, but there are lots of other baked cheesecakes in the Recipe Index. You absolutely cannot bake this cheesecake. Don’t like pecans could I use walnuts? Do you have a sugar free way of making this? Hi, Janine. I don’t have much experience with sugar free baking, so I can’t make an informed recommendation. If you want to use a sugar substitute, I’d suggest using the manufacturer’s guidelines for substitution. Since it’s not cooked, Janine, substituting Splenda granular should work just fine. 1. So many ads it was very difficult to read the recipe. 2. These were not butter pecans but candied pecans! I love the Recipes! Looking forward to making them for family. I make a Pumpkin Chiffon pie with a Pecan crust. I think the Pecan crust would also be good with this Cheese Cake. It is just a Gram Cracker crust, with ground Pecans replacing the Gram Crackers. It has a Toffee taste, and is one of my family favorites. I will make this fir thanksgiving. I made this last night and it was yummy…,,however I used a store bought gram crust and didn’t realize that one block of cream cheese is 8oz! So I cut the recepie in half and it still filled the store bought shell…it taste great, but if I had the 16 oz of cream cheese and remaining whipped cream, no way could it have fit in one pie shell…did I miss something? Hi, Rachel. Often, store-bought graham cracker crusts are not as deep as a traditional 9-inch tart or pie pan, and they have fairly slanted sides, so there’s less room for filling. I know that for some of my mother’s old recipes that used a store-bought crust, I’ve had to increase the amount of filling to use a standard 9-inch pan. The recipe as written here works in a 9-inch pan. It domes a bit higher than the edges, as you can see in the photos. Could you share your toasted pecan recipe? I just made it. It was a disaster. After I started i discovered I only had 8oz of cream cheese. Slightly burnt the pecans. Discovered that my Dad’s mixer had no wire whip attachment. But in the end It was like Jesus with the fishes and loaves. It turned out perfect! Delicious! Silling question, but here goes. I would like to try this, but I’m not sure what the one cup of heavy cream is that is needed for the filling. What do I ask for at the grocery store? Hi, Pam. Heavy cream should be found in the dairy section. Could plain greek yogurt be substituted for heavy cream It is a very heavy yogurt? Hi, Linda. The cream is whipped and folded into the cheesecake mixture, so it’s a question of texture. You can theoretically whip yogurt, but I’ve not tried it. If you do, let me know how it works. This recipe looks so good!! I just made it, and it is in the refrigerator cooling for 4 hours. How do you get it OUT of the pan??? Hi, Dianne. If you used a tart pan with a removable bottom, removing it should be easy. If you set the pan on something elevated that’s slightly smaller than the pan (hold the sides until you’re ready to remove), you can just ease the side rim off and down. With some tart-pan-removing experience, you can usually just hold it in the palm of your hand and gently remove the sides. Hi, Carol. I don’t provide nutrition information on my site. I suggest searching for a recipe nutrition calculator. There are quite a few that allow you to input any recipe. I baked two of these yesterday and I can not cut the crust. It’s harder than a rock and I followed the directions to a tee. So disappointed.. You need to rethink the crust recipe. This is not ok. Does the crust get harder after you put it in the fridge? It might harden a bit, but I wouldn’t expect much. It’s essentially a giant shortbread cookie, so imagine eating one that’s been in the refrigerator. Could I make this in a muffin tin to make individual cheesecakes? Would they hold up ok in paper muffin cups? Hi, Candice. I’ve not tried that, so I can’t speak from experience. I think it would likely work with plenty of chilling time. I might suggest using a simpler crust like a graham cracker crust, such as the one in these Mini Cinnamon Crumb Cheesecakes. I do that all the time. And I don’t even use a (personal preference) crust. Just put your papercups in the muffin tin, fill, decorate and cool. I hand out spoons with the cups and all is well. Hi the recipe sounds delicious and great I finally use my lovey ceramic oven safe tart pan, but the bottom of course is not removable can I still use it, thank you in advance. Sure, Dawn. It’s just a lot easier to serve from a tart pan with a removable bottom. WHIPPING CREAM IN DAIRY SECTION. Hi, Ashley. You’ll need heavy cream, which may be labeled heavy whipping cream. Hi! Thank you so much for the recipe. I want to make this for Thanksgiving, but I was thinking about making it tomorrow to get dessert done in advance. Will it still be good on Thursday? Hi, Audrey. It should last 4 or 5 days in the refrigerator. You can also freeze it and thaw in the refrigerator overnight before serving. 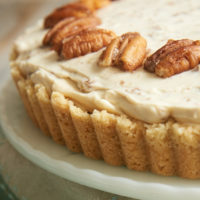 Hi, I am making this cheesecake for Thanksgiving using the pecan sandies crust you linked. I followed the directions and popped it in the oven to brown slightly, however rather than browning it got mushy and the butter all pooled in the bottom of the crust. Any suggestions about what I may have done wrong? Hi, Caleigh. I’m sorry you had troubles! My first thought is that there was too much butter. If that’s not the case, then it could be the pan. Dark pans bake faster, which could alter the crust. My only other suggestion would be to chill the crust 15 or 20 minutes before baking. As an alternative, you can chill an unbaked cookie crust for about an hour and skip the baking time. I made this for our family thanksgiving. The filling was too much for my tart pan but we didn’t mind eating the leftovers! Absolutely delicious! I almost hope no one at the party eats any so that we can bring it home and devour it! Just made this and can’t wait to eat it!! I was going to buy a graham crust but found a premade shortbread crust and got that instead. I wonder how my family will feel about skipping Thanksgiving dinner and going straight to dessert! I’d be all for it! Enjoy! I just finished making this but i used a spring form pan and im worried about what its gonna look like when i remove it from the pan… Does anyone have some tips on how i can free it from the pan without ruining they cheese cake. Hi, Brittany. If the cheesecake has chilled long enough, the pan shouldn’t be an issue. Just release the sides, and it should be fine. I made this last night and it is so beautiful. I nailed it 🙂 I wish I could post a picture on here. I keep having to remind myself that today is about giving every time I look at it. Allie, this may be my favorite comment of the entire year. 🙂 Hope you enjoyed the cheesecake and had a very happy Thanksgiving! I made this for Thanksgiving using the pecan sandie crust. Delicious!!! So glad you enjoyed it, Carla! I was just passing through & now after seeing this amazing Dessert my tounge is slapping around like crazy in my mouth. I have to have one of these. Since this is very rich and I will be making this for a crowd, is it possible to double the recipe and make in a 10X15 jelly roll pan? I was not sure about the crust and baking time. Could you please advise me. If you double, I’d recommend a 9″x 13″ pan, as that’s roughly twice the volume. The crust should be the same thickness, so I wouldn’t adjust the baking time. If it were me, I’d just make two cheesecakes, but I also understand the appeal of bars. You used granulated sugar and light brown sugar in ur cheesecake part ,, wud that give that crunchy texture of sugar in ur cheesecake or does it some how just melt and blend right in while being mixed? It should mix smoothly into the cream cheese mixture. Butter pecan is a favorite flavor of mine too! It’s a perfect combination with cheesecake. Thanks for sharing! I made this cheesecake and the flavoring was awesome, but my crust came out hard as a rock? I seen that a lot of others have experienced the same thing and you have not responded to those comments. Is there a problem with the crust recipe? Hi, Lynn. I’ve made this crust or a variation of it multiple times with no issues. My only guess, which I’ve addressed in the recipe notes, is inaccurate measurements. Over-baking could also be a problem. 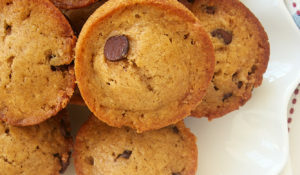 I make this (I don’t like crust, so I make mine without) in paper muffin cups to give to people, sell at fundraisers, and just generally make it easier to store and serve. I have made it many, many times and have yet to meet anyone who didn’t like it. The recipe is so easy to make, takes such little time and is guaranteed to make a splash no matter where it is served. I have shared the link to it bunches of times and my friends all loved it. Just wanted to thank you for one of my “go to” recipes. I’ve literally just finished making this cheesecake, it’s resting in the fridge as I type! I have to say, I do have one problem with this: it was INCREDIBLY difficult not to eat the filling straight out of the bowl. I mean, seriously, how there was any left to put onto the crust is beyond me!! Thankyou so much for sharing this with the world! I’m so glad you liked it, Kerri! I have a crust that has 1 stick butter, 1 c flour and 1 + c chopped pecans to make a short bread crust that does not get too tough. Just do not press too tightly. How about using a no-bake shortbread crust using shortbread cookies?? Hi, Rani. Yes, that should work. 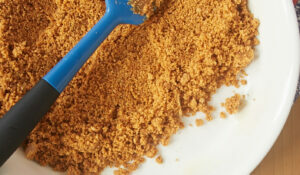 Be sure to read How to Make a Cookie Crumb Crust if you need any tips. Jennifer, thank tou for sharing this recipe! I’ve made it twice now and it’s a BIG hit with family and friends. I did add some butter extract on the second time and it was wonderful too!